The Eastern Economic Forum, held in Vladivostok, Russia 11–13 September, and the ‘Territory of innovations’ program organized as a part of it were a great success for Universa! The Khanty-Mansi Autonomous Okrug — Yugra development fund and Universa blockchain have signed an agreement on technological partnership, according to which Universa will develop its special blockchain-enabled platform to manage investment projects. This platform will allow to exercise full control over the state invested funds and the allocation efficiency. Distributed ledgers will mark the allocated funds, which will subsequently help to ensure that state grants as well as foreign grants and investments are safe and cannot be abused. The blockchain platform will instantaneously track real costs and balance, as well as automatically provide all the needed reporting ensuring the investment transparency and making the region more attractive to investors. Corporation for the Development of the Far East (Russia) and Universa discussed launching of a multi-currency crowdfunding platform and an exchange of digital financial assets. In 2018 it was decided to create a financial hub and a special administrative district (offshore) in Russky island (the Russian Far East). Both of these decisions are aimed at creating a globally competitive environment of attracting and storing funds in Russia, which outpaces the financial market and technologies development. The agreement on collaborative realization of blockchain-based projects in the Far Eastern Federal District. One of such projects in the financial hub in the Vladivostok port, which provides the opportunity to establish offices for foreign credit institutions, create a multi-currency crowdfunding platform and an exchange for digital financial assets. Universa is a blockchain platform, which can act as a basis for realizing a multitude of innovative solutions, including the managing technologies, such as delivery chains, goods digital passports, energy infrastructure, smart money and financial technologies. 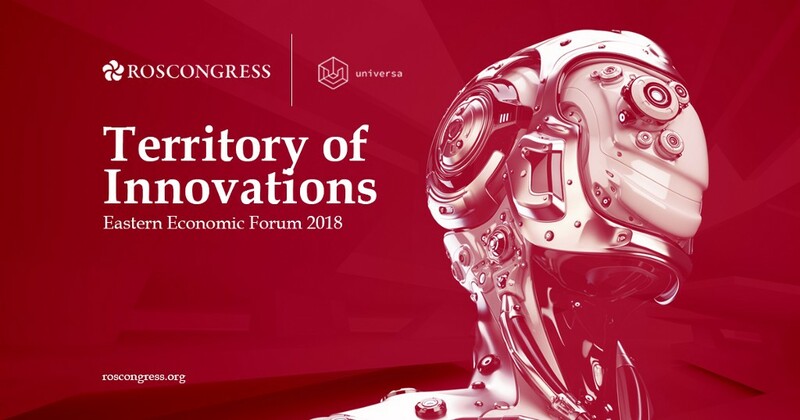 Universa at the Eastern Economic Forum: technological cooperation and partnership prospects was originally published in UniversaBlockchain on Medium, where people are continuing the conversation by highlighting and responding to this story.